The more uninteresting a letter the more interesting it is to the typographer. In our curriculum the upper-level classes focus on the macros of typography and graphic design – the big idea, big picture. 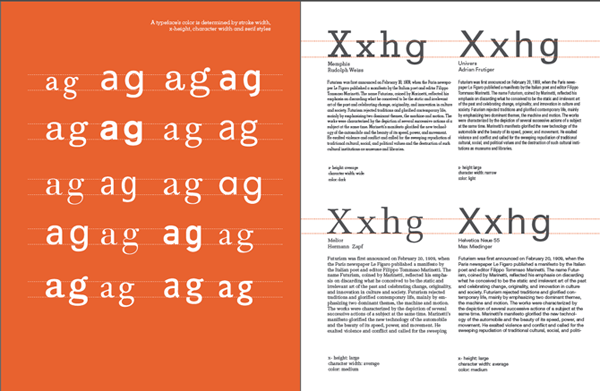 The sophomore classes must focus on the micro – all the typographic details – it is expected that the students know type identification, rules and details before they are in the upper-level classes. 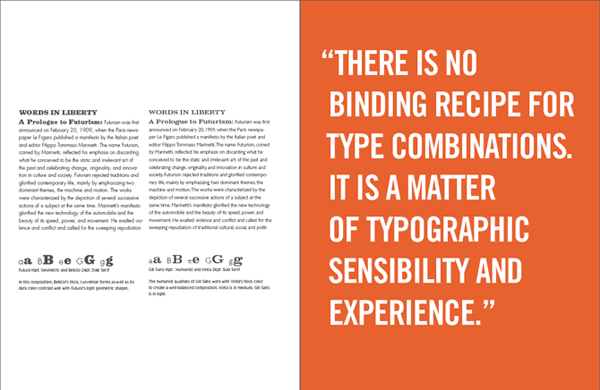 Also, it is apparent to design professionals if the student knows the rules/ details of typography or not. When a professional looks at a student project, they can immediately tell if the student has an understanding of typographic details. 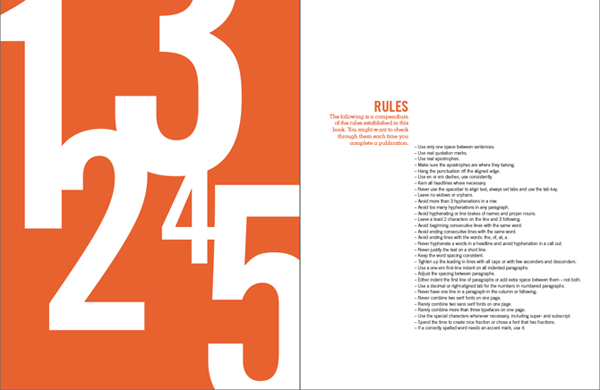 Getting and keeping a job requires that the young designer has a mastery of the rules/terms. The type workbook is a series of outlined investigations. They are all brought together in one document – a book that is then sent to a digital printer to be printed and hardbound. The end result is an artifact that a student can take with them to their future classes and future jobs. They are creating their own resource. Graphic design students are visual learners, they have SEE and DO to remember. I started an iteration of this project 10 years ago, each week – on top of the regular homework – a student had recreate a different type/ rule study. Last year, I decided to group all the weekly assignments into one, three week project. The benefits of not spreading the work through the semester have been remarkable. Before students were doing the assignment just to get it done. The "chapters" of the book – assignments – are outlined on my class website. The students work at their own pace, and I can check their work as they go. When the book is completed the student uploads his/her file to an online digital printer and it produced as a hardbound book. I planned for the books to be around 40+ pages and printed in black and white. The student's embraced the project. I was amazed and impressed with the time and effort they put into it. It truly is a piece that can help them land an internship or even be part of their graduating portfolio.